The Power Of Walking Our Personal Paths On This Planet & A Summer Refresher Drink Recipe! The Native Americans use the term Medicine Path to describe our personal path on this planet; the gifts we have to offer to all life on this planet. What a strong message this sends: when we do what we are personally meant to be doing on our life walk it is healing to our body, mind, and spirit and healing medicine to those we share our gifts with. Each of us has a purpose, a story to tell, a gift to share with the world to make this place a better place for all. When we listen, truly listen to our heart-spirit, we know our special gift(s) to share. Are you connected with your purpose here, the gift you need to be sharing with others? In my young teenage years I knew I wanted to be a health teacher. Going to RN school, right after high school, seemed to me a great place to start (When I look at my life in retrospect... I was not consciously thinking this out at the time!). Nursing school taught me that our medical field works to decrease and cover the symptoms of ill health but really does very little, if anything, to get to the root cause of ill health and heal it. Health Education was my answer to get on prevention end and help people understand what causes disease, what promotes healthy bodies, and how to best make that happen in their lives. The road of life led me to my own practice, supporting other's desire to return to health is my medicine walk on this earth. discover what makes you happy and color your world happy! All of these actions help you, your whole being, vibrate at your highest life force energy frequency. This is your medicine path in the making! In my quest to do the best I can with what I do... I have devised a questionnaire for new clients to determine if I am the right choice for them on their healing path. This questionnaire also helps me to determine if a client is the right fit for me and what I have to offer. The right fit, on both sides, creates happy clients who desire to be successful in this healing walk with me! We work together to color each other's worlds happy! I have made this with fresh lemons, oranges, peach & nectarines, berries, etc. Use your imagination and let the seasonal fruit offerings guide your choices. I recently created the above image and idea I am calling R-A-C-K-ing up Health to remind people how easy the return to vibrant health is. When we follow life's plan, the natural laws of the earth and universe, our health flows freely. I was thinking about this very concept as I was picking black raspberries at my Mom & Dad's home on Saturday morning. I began picking them planning to take them to my home and share the bounty. My kids were gone for the weekend so instead the hand to mouth experience began. The thoughts of vibrant, live food kept passing through my mind and how much nutrition and life force energy our bodies receive when we pick and eat food immediately. Ah yes, the grace of local food, raised by ourselves or a conscious thinking farmer, brought to our tables within a short time frame to fill our body cells with nutrition and our entire being with chi energy. When we pick plant based food from its life source, its source of life force energy, that plant based food begins to die. The longer the time span between plucking or pulling the food from its source, the less nutrition and life force energy remain available to nourish your body. Grow, pick, and buy local for the most cell enhancing nutrition and life force energy infusion you can gift your body with. Jump down below those gorgeous berries for a bit more life enhancing advice and a yummy, iced coffee recipe. The ability to let go: Take a deep breath and jump. The chores and routine will await your return. Knowing life is short: No one ever lays on their death bed wishing they had worked more. Seasonal Allergies: Gear Up Now! 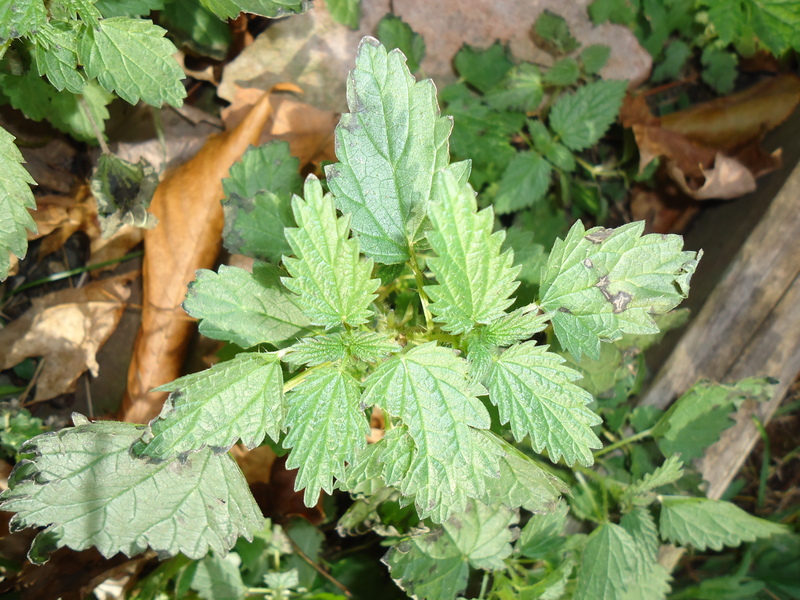 What would a healing post, from me, be without my favorite herb... stinging nettles! It is my "go to" herb for all nourishing and healing needs. Start with nettles + herbs specific for the health symptoms = healing equation! 1. 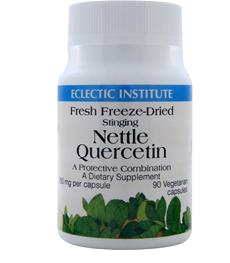 Freeze dried stinging nettles: Get to Nature's Storehouse, Canton, NY and purchase some freeze-dried stinging nettles. Start taking them now to calm and heal your immune system and relieve the seasonal pollen allergies. 2. Local, raw honey. Start eating 1/2 to 1 teaspoon two times daily, now. Local, raw honey will acclimate your body to the local allergens before they bloom and blossom. This local honey will help to relieve or even rid your seasonal pollen allergies. 3. Herbal Formula: Herbs Etc. is a great company. I use many of their formulas in healing ways with friends, family, and clients. They work! 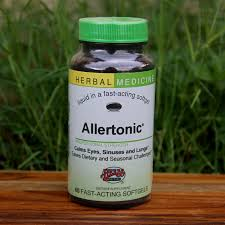 Allertonic® Enhances healthy inflammatory responses of the respiratory and gastrointestinal tracts. Stabilizes mast cell walls and fixed antibodies found in the eyes and respiratory system, keeping the tissues calm. Normalizes secretion of the respiratory system, liquefies mucus, stimulates its removal from the lungs, and keeps pulmonary tissues hydrated. Ingredients: Fresh Stinging Nettle herb, Licorice root, Eyebright herb, Horehound herb, Osha root, fresh Horsetail herb, fresh Mullein leaf, Elecampane root, and fresh Plantain leaf. Acute: Take one soft gel or 40 drops with water every two to three hours until comfort is achieved or as directed by your health care professional. Noticeable comfort is attained within the first or second day. Switch to ongoing use. Ongoing: Take one soft gel or 40 drops with water three times a day. Proactive: Two months prior to seasonal challenges, take one soft gel or 40 drops with water twice a day. 4. Yes, you can use all three of these natural, allergy relief "foods" as a preventative measure. Start now, before the snow melts! 5. Whole foods: I would be seriously amiss as a whole food, holistic healer if I did not tell you that the foods you put into your body, every time you eat, affect the way you feel. Eat crap, feel like crap! If you over load your body with packaged, factory made foods, you overwhelm your immune system (actually, you overwhelm your whole body, every body cell!). Your immune response to allergens in the seasonal air will be seriously heightened if your body is already overwhelmed by crap food. Eat whole, love your body cells! 6. Liver Nourishment: As I write this post, I have a draft post on liver nourishment, ready to go. Be looking for it. Keeping the liver healthy will cut down on seasonal allergy symptoms. 7. Acupuncture: is an excellent healing tool in the seasonal allergy toolbox. Give Five Elements Living a call if allergy relief is in your plans! PS: I can order any product from Herbs Etc. for you. Check Nature's Storehouse OR the Potsdam Food Coop for a similar product. Compare the ingredients as many herbal companies make allergy relief herbal combinations. Need Help? Not sure about herbal healing foods: what to take, how to take it, when to take it, etc? As a Certified Herbalist, I can help with this! Give me a shout. Can farming return the nutrients missing in our food? Saturday, March 22nd at 9 AM Pacific, the Food Chain Radio show with Michael Olson hosted Dr. Daphne Miller, author of The Jungle Effect and Farmacology, for a conversation about food, nutrition, and human health. Topics include why some primitive cultures were healthier than many civilized cultures; what happened to food when we civilized it through agriculture; and whether the nutrients we lost through agriculture can be regained through agriculture. When making a whole grain pie crust, I have found it much easier to make it in a food processor. The pie dough melds together really well and rolls out nicely. I have tried many methods: fork, fork and knife, pie pastry hand blender, etc. The best whole grain pie crust, for me, is made in a food processor. I put in the flour, sprinkle the salt in, add butter in cold slices, and put the lid on. Turn the food processor on and drizzle the water or milk in through the top. When the dough balls up and is rolling about inside the canister, shut off the processor. To roll the dough I sprinkle a bit of oat flour onto my pastry cloth and use the cotton sleeve on my rolling-pin. I bought my cloth pi making set at Evan's & White's Hardware store, Potsdam. 4 very large, organic Braeburn apples, or whatever your favorite flavor of organic apple. I prefer Pink Lady apples... but they are expensive so I save them for eating and buy a cheaper apple for pies. oat flour, say 1/4 cup, to thicken the apple juice so the pie is not runny. Mix apples with rest of ingredients. Fill pie crust and top with 2nd crust or lattice top. Pop into the oven and bake for approximately 50 to 60 minutes at 350 F. Apples should be gently bubbling inside the pie, not running liquid all over the oven. *I have been using Kerry Gold Butter from Ireland. I am not thrilled about using something transported from so far away. Local food is better! I wish we had a farm cooperative in Northern NY that produced butter from pasture raised cows. However, I received a "tip" from Jessica Prosper of Prosper's Farmstead Creamery! I just ordered (from Nature's Storehouse Wholeshare) 5 lbs of pasture raised butter from a farm cooperative in New York State: Kriemhild's Dairy. They are not in Northern NY State, but hey, they are not in Ireland either! Thanks for the tip Jessica! **I use mostly gluten free oat flour in pie crusts. This one also had millet, quinoa, teff, and amaranth flours. Then I added in a 1/4 cup of dark buckwheat flour. The oat flour will make a smooth crust. Add in the millet, quinoa, amaranth, and teff and the crust gets textured... grainy. If you are not used to this in whole grains, I am just warning you! The buckwheat flour has a very strong flavor. Very yummy, but again, if you are not used to this flavor it is a big leap from refined, white flour pie crust pastries. I find them flavorful, a true taste sensation as compared to white flour crusts that to me taste like baked wall paper paste. Enjoy the yummy, new flavors on your taste buds. The pie is very yummy and full of whole-cell regenerating, healthy, whole foods. No refined flours and sugars depleting the health of the body cells in my home! I encourage you to read and learn about feeding your body cells with whole food to prevent and heal lifestyle related diseases. It is nature's plan! Frost, my Siamese Mutt Cat, doing her version of Downward Facing Cat Pose. She IS a natural at Yoga! I wrote this article for the Potsdam Food Coop's Fall newsletter. I decided to re-post it here as many people commented on the words being meaningful to them. Thanks for the kind words Potsdam Coop friends! Frost doing the "downward facing cat"! Why I Love Yoga…and other thoughts on local, whole foods! And you are now thinking, what does yoga have to do with the food? My answer is quite simple. When we create mindfulness through a regular yoga practice (or any other form of body awareness exercises: Tai Chi, Qi Gong, Tae Kwon Do), we consciously make healthier choices in all areas of our lives. This means healthier food choices. Back to yoga. Why I love yoga… because it works! It works on many levels, see my above comment around food choices. The word yoga comes from the Sanskrit word yuj and means to yoke or bind. Yoga is often interpreted as a method of discipline that brings union (yoking or binding) to body, mind, and spirit. Yoga is the study of the Self. Yoga gives us tools to improve our lives by stripping away the illusions that block us from connecting with our true self, with others, and with life itself. Yoga is a whole food that nourishes body, mind, and soul. Food is sacred to the body; it nourishes and sustains us. Love is sacred to the mind and heart; nourishing the very part of us, our spirits, that gives to others and back to ourselves. Yoga is the breath of the soul; keeping our life force strong and our 3 parts (body, mind, soul) in harmony and union. Getting down to the brass tack: I am an exercise enthusiast. Those who know me, know this well. As long as I am not sitting still, I am happy. The list of activities I have engaged in goes on and on and blurs together over the years and decades of my life. I love and have loved them all. For many years I was into serious weight training and I felt that I was very strong. When I started to do yoga, I was humbled. I could not push up into a back bend. My arms would just not do it. After a few weeks I had the back bend thing down. Years later, I now do reverse push ups. Push ups from the back bend pose! The strength I have gained is through my whole body (mind and soul!). Over the years I realized my yoga strength ran deeper than that. My choices around food and other lifestyle habits became more conscious in a health promoting way. I paid attention to eating with awareness, chewing food well, eating only what I needed, and stopping before I was stuffed. These habits around food and food choices slipped in the back door; all part of the study of self (ha ha, yoga!). All those years of doing yoga transformed the way I interacted with myself and the world around me and I did not even perceive it happening. Positive things I noticed around food: not needing to fill my plate to the brim or returning to the potluck table for another round of food, being satisfied with enough, passing on the desserts as sweet foods no longer dominated my taste buds, feeling abundance and satisfaction with light meals, and reveling in the flavors / colors / textures / and gift that each meal brings. When we stop the constant chatter inside our heads and still our minds through mindfulness activities (yoga and other body awareness exercises), we tend to make choices that are in alignment with what is best for our health without feeling deprived. This is because we have learned to live in the present moment and are aligned in body, mind, and spirit. That is the awareness that Yoga brings to our being. A cluttered "chattery" mind and a body that is not aligned in mind, body, and spirit tends to make decisions based upon impulse and cravings without regard to what is best for long term health. When we quiet our minds, we use our emotions to our advantage. When our minds are busy, our emotions use us. Change is defined as the process of becoming different, substituting one thing for another, biological metamorphosis, personal development especially if seen as personally "life-changing". Consciousness is awareness of one's own existence and behaviors, inwardly attentive and mindful. Conscious change involves will and deliberateness, altering self in an intentionally conceived manner. When we discover that something we are doing in our lives no longer serves our higher purpose as a human, conscious change is how we evolve. When we discover that the lifestyle and food choices we have made, consciously or not, are not reflections of our higher selves, we move to make change. We realize our bodies are not vibrating at our highest level of health and we seek out ways to change this: to heal current symptoms and weight issues and prevent lifelong degenerative diseases from interfering with our vibrant quality of life. Remember that life is always for us! Life force energy is always moving towards the positive, health and healing. It is humans who tend to go against the grain of nature and turn this flow of energy against ourselves. If you allow yourself to be in this flow, positive things will just happen. Yoga, or any body awareness type exercise, aligns our bodies, our minds and our spirits so we make life giving choices. Yoga helps us to become normalized in our eating, to reach a pattern of habits that are normal and healthy for us. Yoga (or any body awareness exercise) help us to walk into the Potsdam Food Coop, Nature's Storehouse, our local farm stands or supermarkets, and we can make choices that feed and nourish every cell of our being. We walk out with life giving, whole foods to nourish ourselves and our families. Update 4/23/2018 Happy Earth Day! This post has been used and published in several newsletters and journals in the 5 years since I wrote it. My wish is that the gift of Yoga, mindfulness, reaches out to help many heal emotional issues around food, food choices, and eating habits. I have since created The School of Self Healing home study courses on weight loss, sugar addiction, and whole food eating that embody the mindful / yoga habits to support your feeling whole and happy in the healing choices you make. Much Love to All. More Why I LOVE, LOVE, LOVE Yoga Blog Posts, Yup, click on the "blue" back there. Enjoy reading as much as I enjoy sharing my Love of Yoga. Update on 4/29/16 Great quotes from the book "The Little Red Book Of YOGA WISDOM" Thank you Shelby of Five Elements Living Retreat Center for always keeping my heart and soul open to inspiration.